I love surprises, so naturally I love when my Vegan Cuts snack box arrives! 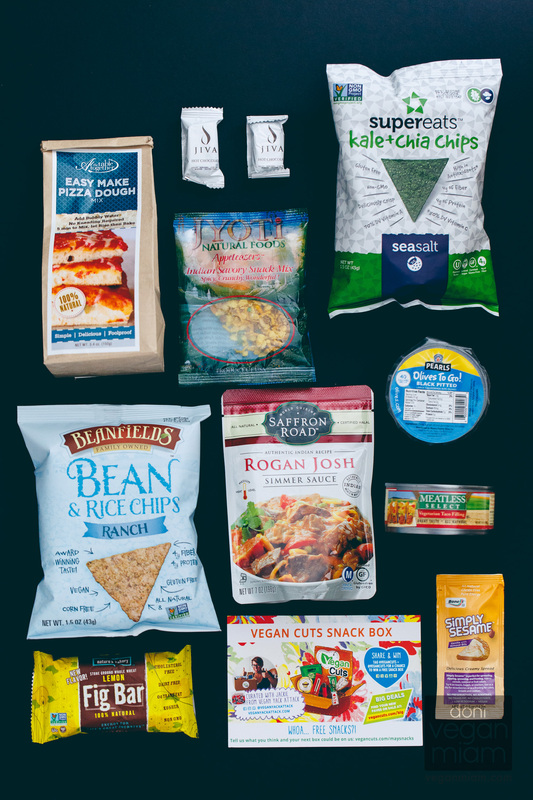 Vegan Cuts is a monthly vegan snack box packed full of around 7-10 unique samples. This month’s box, May 2014, was kindly provided to me by Vegan Cuts for review. In addition to their regular Snack Box, they also have a Beauty Box and Healthy Vegan Starter Kit. Details: A subscription costs $19.95 per month. Shipping is free within the USA. International shipping is available for an additional $8 to Canada and $15 to the rest of the world. View more details here. The May 2014 Snack Box is curated by the amazing Jackie from VeganYackAttack. It includes an info card detailing the brands and products in each box. The card is pretty handy to keep so you can easily remember all the products you’ve tried. This month’s box includes a total of 10 products! Awesome travel-sized pack that was perfect for both of us to snack on and keep us from binging on a big bag. We’ve already tried their chips before, so this wasn’t new to us. Our favorite Beanfields flavors are Nacho and Pico de Gallo. The ranch chips have a bit of a sour dairy flavor, more like a sour cream, and needed something else to help round the flavors out – more substantial dairy flavors like the nacho or perhaps more onion and spices. We are familiar with Pearls because we occasionally have their canned olives around. It’s a huge brand, but I don’t actually like olives so I gave this away to an olive lover and he snacked on them during a flight. Cool that it was a single-serve cup and without the added liquid so they weren’t messy at all. I know a few olive fans who would probably enjoy these on their flights. 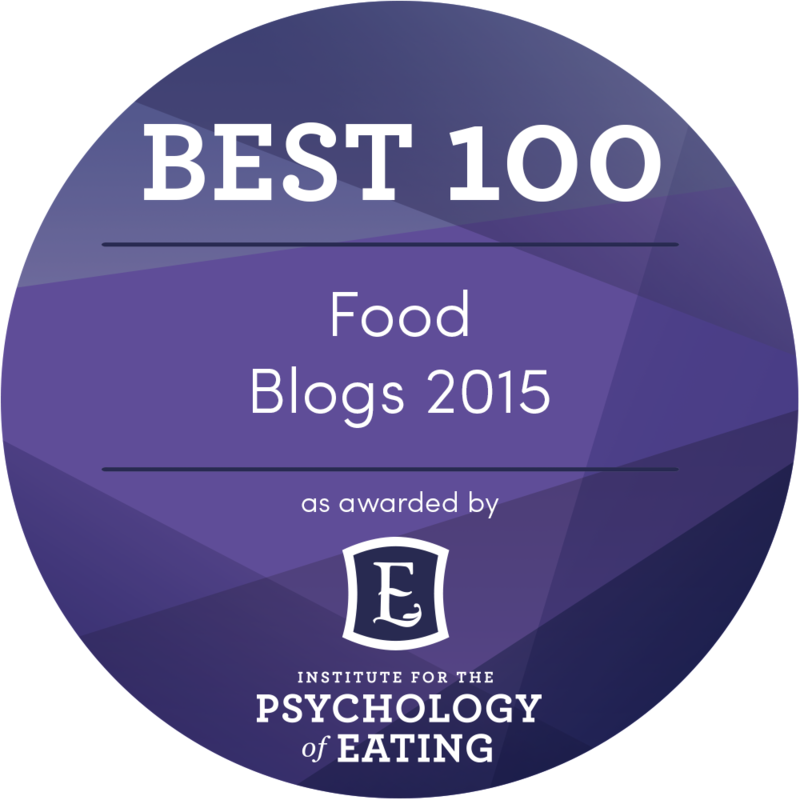 I would love to see Nature’s Bakery bars at my local grocery store! These vegan lemon fig bars come in two individual bars per bag. They are mildly sweet, non-GMO, 100% natural and made with stone ground whole wheat flour. The company purchases all of their figs from California in support of the California Fig Growers. 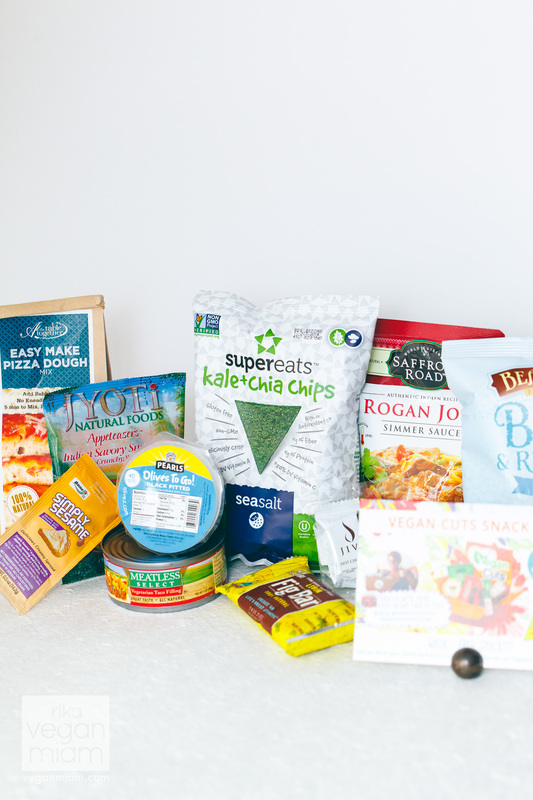 This is one of our favorite discoveries from Vegan Cuts Snack Box for May 2014. The chips came across slightly bitter, not really very pleasant alone, but like to add them as ‘croutons’ in soups. 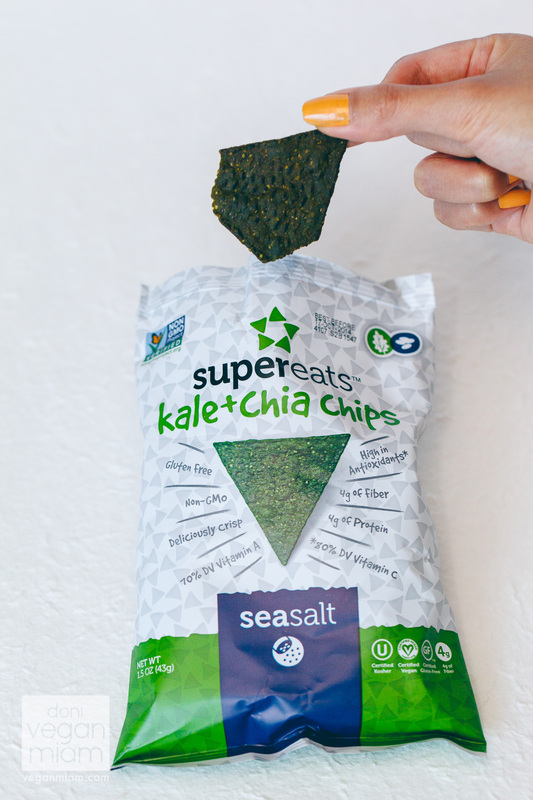 They are GMO-free and made from two major super foods: chia seeds and kale. In regards to flavor and texture, these sort of fall somewhere between a gluten-free chip and a kale chip. I recently read a report about the unsanitary conditions at this company’s airline catering branch, as mentioned here, so I’m not going to discuss this product. It’s an unfortunate report, especially for someone who has undoubtedly consumed their airline meals in the past. I wish them all the best. This is a healthy and delicious spread, crunchy from the tiny little almond bits while sweet and laced with a nice amount of vanilla to make this more than just tahini. Vanilla Simply Sesame with Almond Bits makes a fabulous snack on some apple slices and rice cakes. 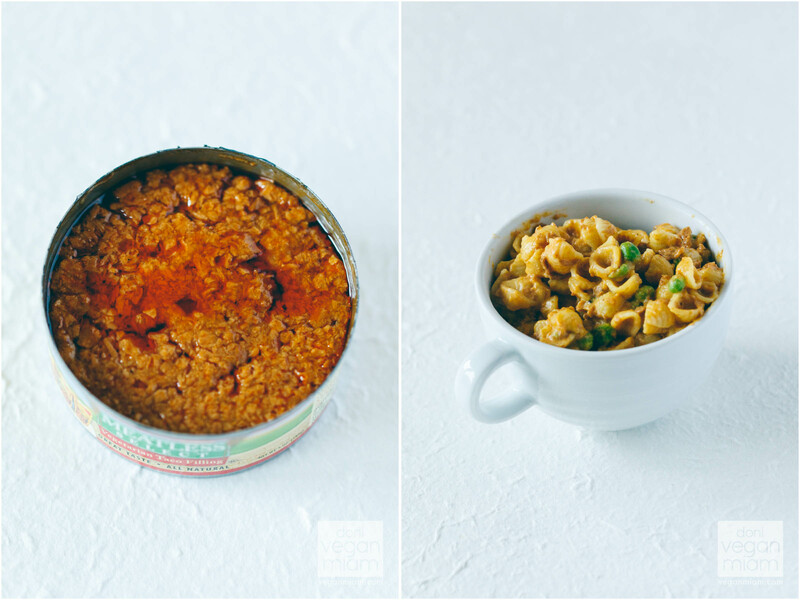 Saffron Road’s packaging is easy to tear and use and easy to prepare. I made Rogan Josh with rice and used steamed Thai green eggplants, baby golden potatoes, red bell pepper, Chinese long beans and orange heirloom tomatoes. 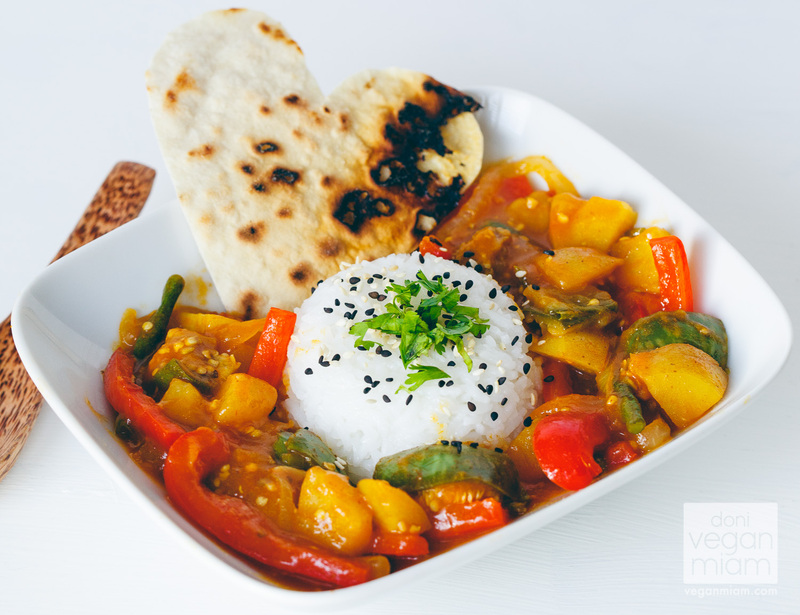 The final product is a bit of a thick sweet and sour vegetable bowl that pairs well with homemade pita bread. Help balance out the sweet flavors with a nice green onion and cilantro garnish and maybe a bit of hot sauce if you require some heat. 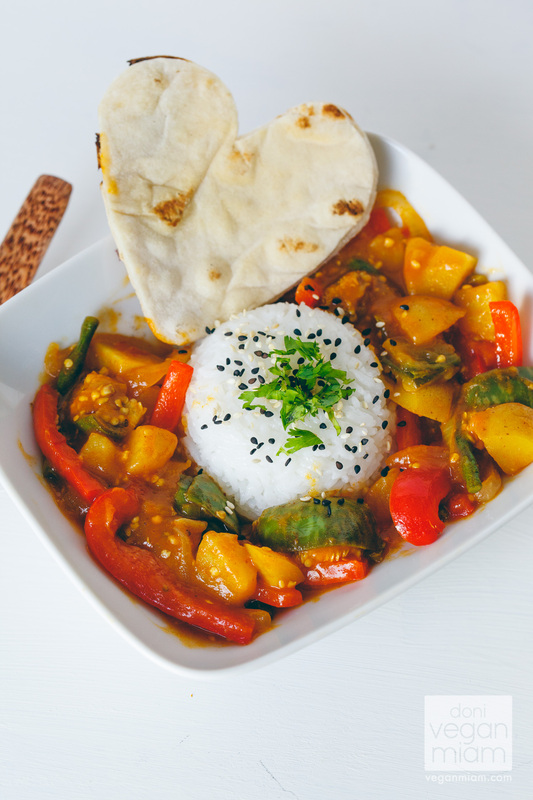 This Rogan Josh is packed with spices, but not spicy. It might taste nice but it certainly doesn’t make pizza any easier. Following the directions, the dough was too wet and almost impossible to work with. The mix required quite a bit of additional flour to be able to handle and stretch. The final product was a generic American pizza, very nondescript. At first I thought Jiva’s hot chocolate cubes were mini packs of candies, but these instant cocoa cubes are made of Colombian Criollo beans and unrefined raw cane sugar. I added two mini cubes to 8-ounces of unsweetened coconut-almond milk. The final product isn’t too sweet, which I like, and loaded with natural cocoa flavors. Very convenient to travel with and not too messy to handle. Overall I enjoyed this snack box. 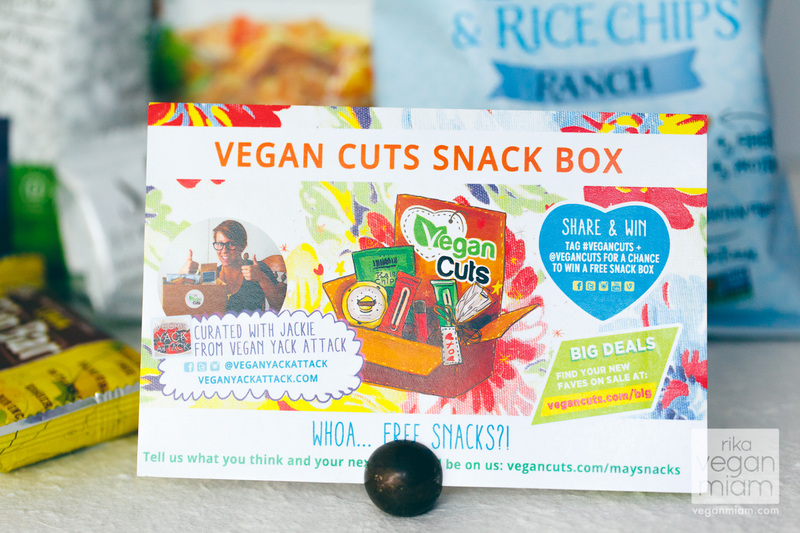 While a few items missed the mark, that’s actually part of the joy of receiving the Vegan Cuts snack box – you get to try an assortment of things, most of them new and unfamiliar and have them conveniently shipped to your door. I’m always curious to try new things but occasionally I can’t find them in my local stores or don’t want to spend too much buying a full size package so this is a nice way to try a lot of things without having to spend too much.